Ernest R. Huffman, 95 of Lewiston, MI, passed away Sunday, October 14, 2018 at McReynolds Hall in Gaylord, MI. He was born December 24, 1922 in Detroit, Michigan, to Clyde Clifford & Zella Sophronia (Knoy) Huffman. On June 22, 1957 he married the love of his life, Theresa (Terry) Colon in Detroit, and she preceded him in death on April 26, 2002. 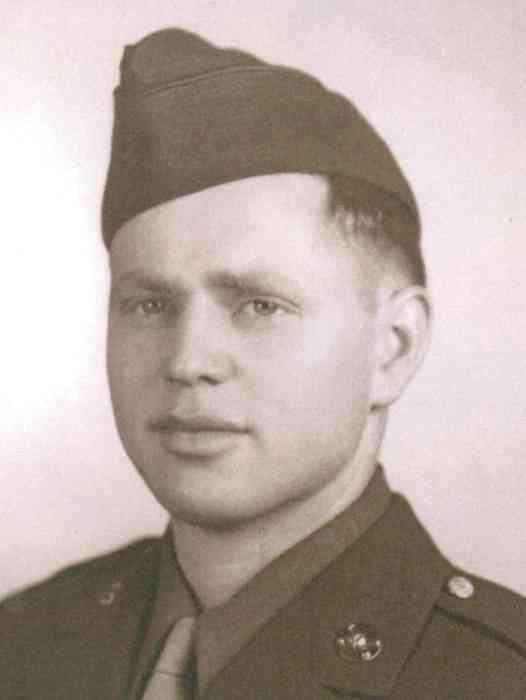 An Army retiree, Ernie served his country during WWII, serving honorably in Germany. He earned both the American Theater and EMAE Theater ribbon with two bronze stars. He was also a longtime Mason, becoming a Master Mason in 1946 and a 32nd Degree Mason and Scottish Rite member in 1949. Ernie served as a Detroit Policeman for 25 years. Formerly of Southfield, MI, he had lived in Lewiston since 1985 and was actively involved with the Lewiston Community Sharing Group. Ernie's survivors include his niece, Orenda (Remus) Zegrean of Saline, MI; step-niece Kimberly (James) Christensen, niece-in-law, Wanda Huffman of Cloverdale, CA; four great-nieces, Donna Huffman of San Jose, CA, Marjorie (Sean) Bertsch of Arcata, CA, and Viviana & Lorellei Zegrean; his great-nephew, Andrei Zegrean; and two great-great-nieces, Skyla & Soleil Bertsch. He was preceded in death by his brothers, Frederick & Carl Huffman; his little sister, Opal Huffman; and nephews, Clyde David & Andrew Huffman.